-Initial sketches drawn by hand and altered in Illustrator to create the final logo and other gold elements on the website and client packaging. 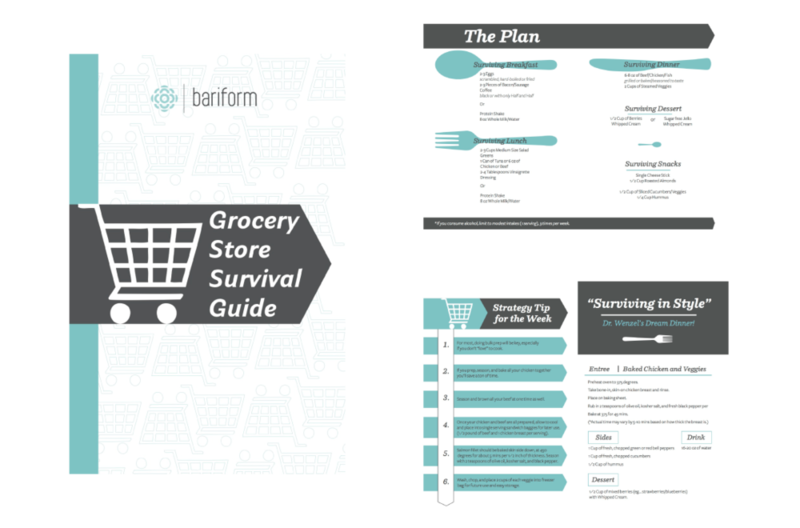 Bariform is a medical weight loss company, and they hired me to design a Meal Plan Bundle for them. Within the Bundle they would include a Grocery Store Survival Guide, Nutritional Guide, Meal Plan, and Recipe Book. With the content given, my job was to visually organize everything, create all of the custom graphics, and cohesively bring each product in the bundle together. As a specialized cosmetic dermatology office with fresh and modern interiors, this logo design needed to be clean and sophisticated. For this project I had my hand in a lot of their brand design. I created the logo, designed marketing materials, painted artwork for the waiting rooms, and took head shots of the doctors. The goal of this project was to design a map that clearly showed all of the high school and middle school Young Life ministries (current and potential) throughout Wake County. The shapes on the map represent each school zoning district- this factor is important because it shows the areas that kids are being reached, and areas that have potential for kids to be reached.